We have loved doing this blog and have been so grateful for all your support. In order to make this blog even better, we decided to start a Patreon page. You can watch this video for more details or just skip it and keep reading. Patreon is a crowdfunding site kinda like Kickstarter. 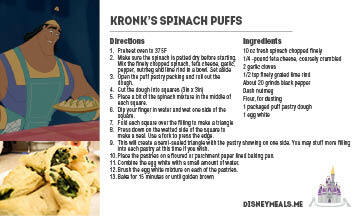 It allows fans to support creators of on-going projects, like Disney Meals. You can choose an amount to donate each month. Even a dollar would help. Helping us buy the best and most-accurate-to-the-movie food possible because food can get expensive. In return, supporters will get some pretty awesome perks. So go to our Patreon and support us! Anything would help us greatly. If you are unable to support us with your moneys, please share the page with your friends! Also, get ready for the next 5 weeks where we’ll be diving through all the food from Ratatouille!